Even diehard Banff-ites find themselves drawn to the upscale eateries, craft beer pubs, fancy boutiques, glamorous galleries and state-of-the-art rec centre, Elevation Place. Not to mention the Olympic and World Cup facilities at the Nordic Centre and the new hand-made ski centre 93 North (scroll down to April and you'll see an article all about this) which specializes in hand-crafted skis built specifically for the Rockies. New Year in Canmore centres around skating and fireworks at the 10th Street Party on the Pond followed by midnight displays at Millennium Park. In between, everyone frequents the parties at The Drake Pub, Tavern 1883, or posh nosh at the Canmore hotels. 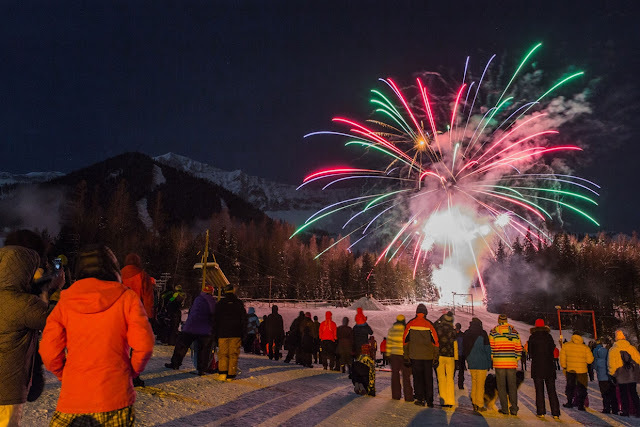 Although I enjoy all the partying, one of the best things about New Year in the Banff Lake Louise area for me is that Jan 1 is typically the last crowded holiday-horde day on the surrounding slopes - Mt Norquay, Lake Louise, Sunshine Village and also nearby Nakiska, (all easily drive-able from Canmore). From Jan 2 follows a sensational month of crowd-free, selfish skiing. Over the first two weeks of Jan I'm off on a terrain tour along The Kootenay Rockies' Powder Highway, taking in Kicking Horse and Panorama. More to follow about all of these altitude adventures over the next few weeks, as well as my Revelstoke report. Revelstoke Mountain Resort hosts a rollicking Rail Jam Dec 28. There's a fabulous firework display on Dec 31, backlit by the Selkirk Mountains, but the festive focus is on party hopping around the resort. Three unique parties combine to form Revy's New Year's Eve Extravaganza, at the Rockford Restaurant, Mackenzie Common Tavern and an inflatable igloo on Rockford Plaza. 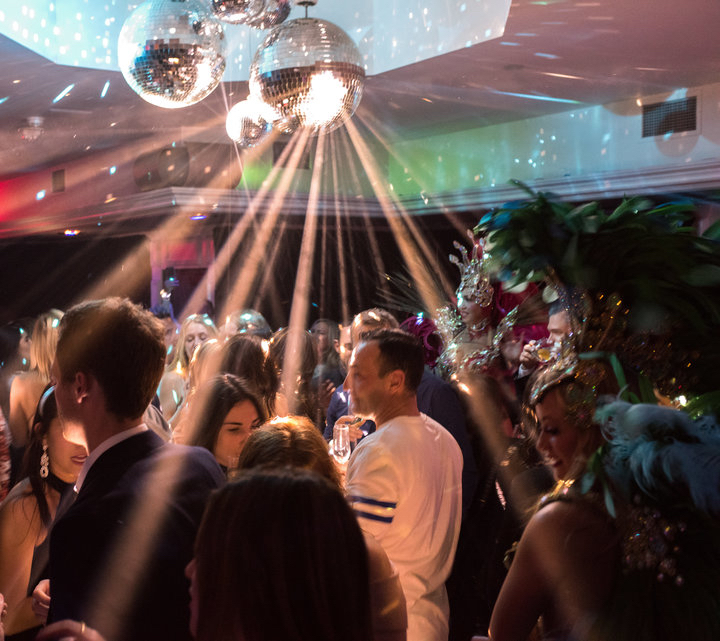 Each venue will have its own distinct vibe, ambiance, live entertainment and its own special NYE-worthy signature cocktail. Complimentary shuttle service home will be provided for the 'over-served' and one ticket gains entrance to all three events. After a great day on the slopes, Lake Louise's European-style New Year's Eve party kicks off with cocktails, hors d'oeuvres and live music at the mid-mountain Whitehorn Lodge, followed by a first tracks torchlight ski on a freshly-groomed run down to the Sitzmark Lounge in the Lodge of the Ten Peaks. Next is a wonderful smorgasbord dinner, entertainment and dancing - in ski gear unless you've been savvy enough to stash your party pants or festive frocks at the lower lodge. Non-skiers can join in the base activities. Later, shuttles deliver revelers back to all the Lake Louise and Banff hotels. Fireworks are foremost at Panorama's New Year's Eve celebration (pictured above). The resort runs a three-day package including deals on accommodation, lift tickets and New Year's Eve Dinner. 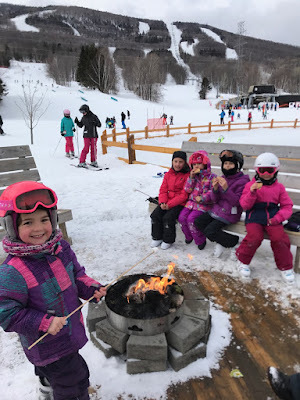 Family activities include Fairy Cabin night, painting, guided snowshoe, twilight 'Smores, tubing, craft and swim, learn to tie dye, free movies and jam night. The place to be at Fernie Alpine Resort on Dec 31 is Cirque Restaurant in Lizard Creek Lodge. A great vantage point for all the fireworks, it is also an upscale venue for a four-course dinner and late-night party with DJ and dancing. 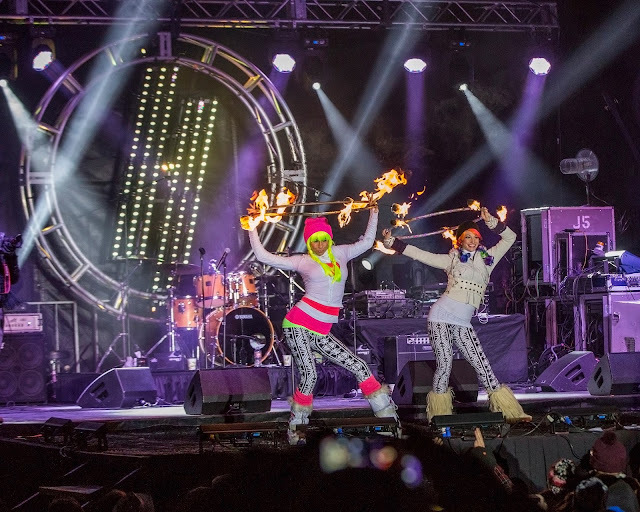 NYE this year at Mont-Sainte-Anne means lighting animation, inflatable games, ice rink and campfires with coffees, marshmallows and hot chocolates. The highlight of the evening will be the countdown to 2018 and the free firework display. 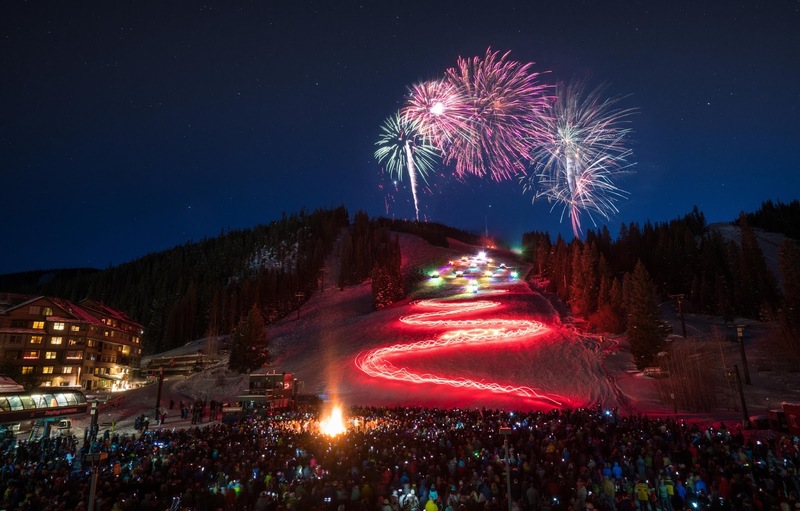 On Sunday, December 31 from 6 p.m. to 11 p.m., Snowmass will ring in the New Year by lighting up the slopes with fireworks and a Torchlight Parade. Skiers and snowboarders ages eight and older will be welcome to ski in the parade, which begins at 6 p.m., followed by fireworks over Snowmass at 10 p.m.
Northstar's New Year’s Eve Fire & Ice Celebration rings in 2018 around the outdoor ice skating rink with The Who Show cover band, an ice bar, warm fire pits and fireworks. The best thing coming up in 2018 here? I'm going in February!! Look out for lots of articles about it this season. On Sunday, December 31, guests savour the last moments of 2017 by taking the American Eagle chairlift up to mid-mountain where a delicious buffet dinner awaits in Solitude Station. After dinner, guests will be able to ski back down the mountain under the light of the moon and stars. 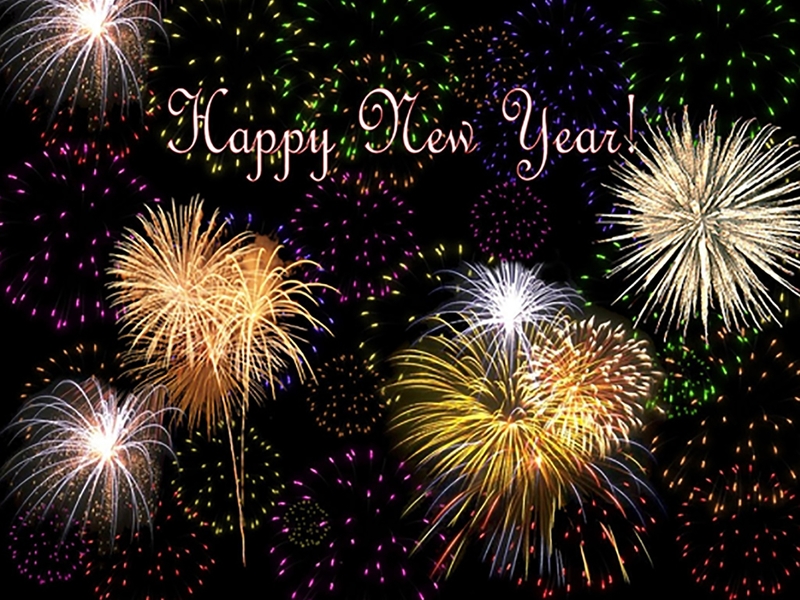 Also NYE is a children’s glowstick pageant, a torchlight parade and a mountainside fireworks display. 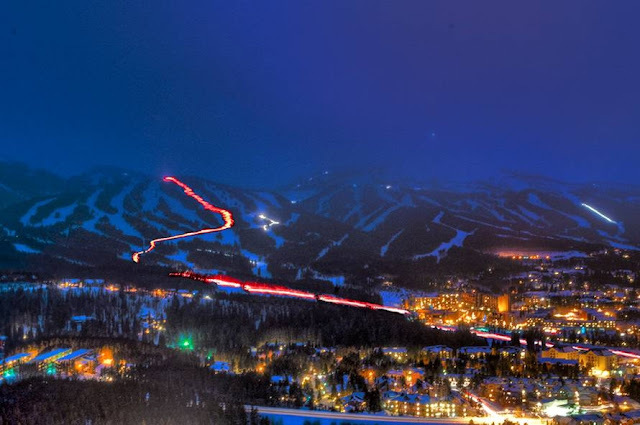 For NYE Breck puts on a Torchlight Parade on the slopes from the top of Peak 9 down American to the Village. 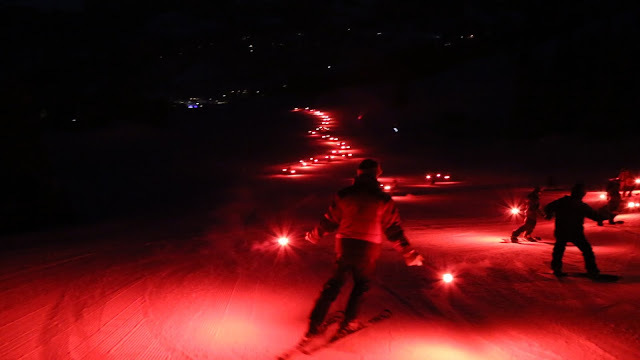 As well as fireworks later at the resort, there's also a Glow Worm Parade for kids to ski green terrain with glow sticks to give the appearance of a New Year’s glow worm. Cooper honors 75 years of operations this season with a New Year’s Eve Celebration complete with a torchlight parade, birthday cake, balloons and live music. 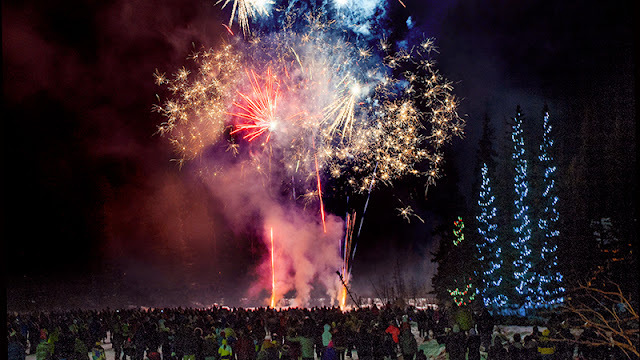 Starting at 5 p.m. Sunday, Dec 31, Crested Butte offers a new take on New Year’s Eve celebrations with a self-guided skin or snowshoe tour to the top of Ten Peaks and warm up inside the Umbrella Bar while watching the fireworks display from 5:30 p.m. Includes appetizers, champagne and dessert. 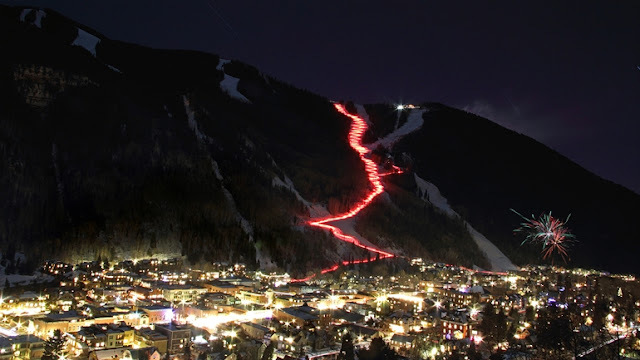 On Sunday, December 31 skiers and snowboarders can take a run down the mountain on Coonskin and Telluride Trail into Mountain Village, carrying blazing red torches, while non-skiers can view the parades on both sides of the resort. Celebrating the transition from 2017 to 2018, Granby Ranch will host a New Year’s Eve party to ring in the New Year on the slopes. 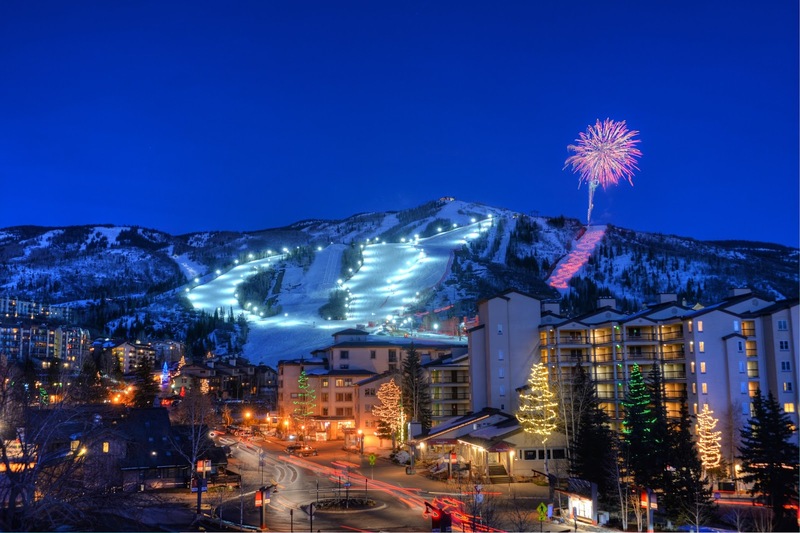 Monarch Mountain features a New Year’s Eve fireworks and torchlight parade as does Powderhorn Mountain Resort, which also hosts a New Year’s Rail Jam and live music at the SlopeSide Inn with drink and food specials. 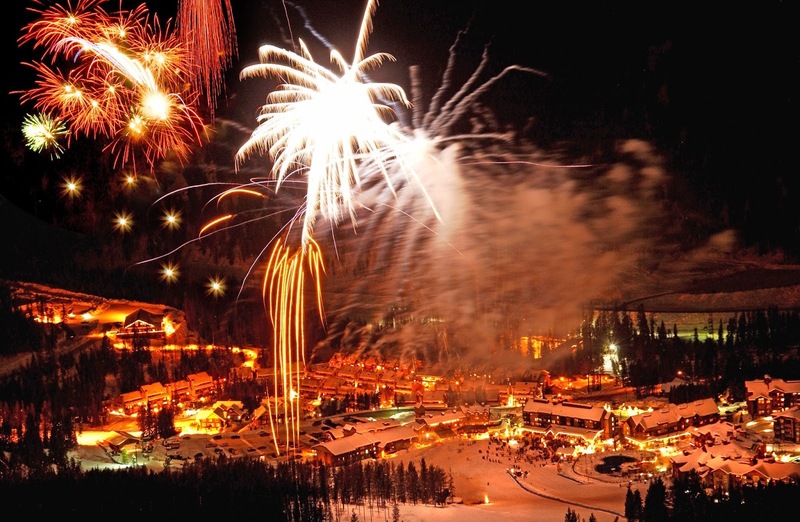 Silverton Mountain's New Years’ Eve package includes three days of guided skiing, parties each night, lunch and après drinks every day December 29-31. This coincides with opening weekend at Silverton Mountain, so conditions will be untouched and on steep terrain. 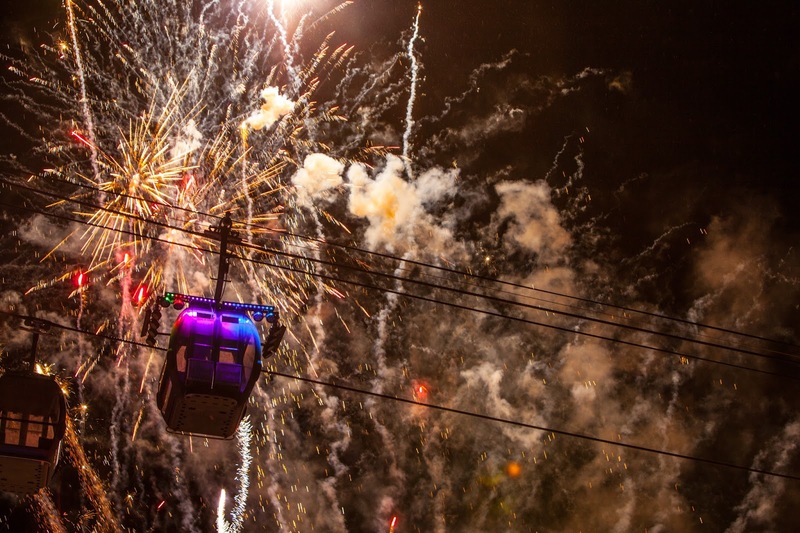 From 5:15 p.m. to 5:30 p.m. NYE, the Steamboat Snowsports School will treat folks to a spectacular on-snow parade down the mountain lit only by torches. Along with the torchlight parades, a fireworks display will illuminate the sky providing a perfect ending to the evening. Following the Torchlight Parade, guests will ring in the New Year at a kid-friendly event with the Family Fun New Year’s Eve bash at the Steamboat Grand. The festivities will kick off with a family-style buffet dinner in the Grand Ballroom followed by magic, juggling and comedy. Other children’s activities and face painting will fill the time before the 2018 countdown, complete with noise makers and party hats, happening at 9 p.m. Another option is the Korbel New Year’s Eve Party at the top of the gondola in Thunderhead Lodge from 6 p.m. on Dec 31 to 1 a.m. Jan 1. Dance the night away with DJ entertainment and indulge in a desert bar, chocolate fondue station and small bite appetizers before ringing in 2018. 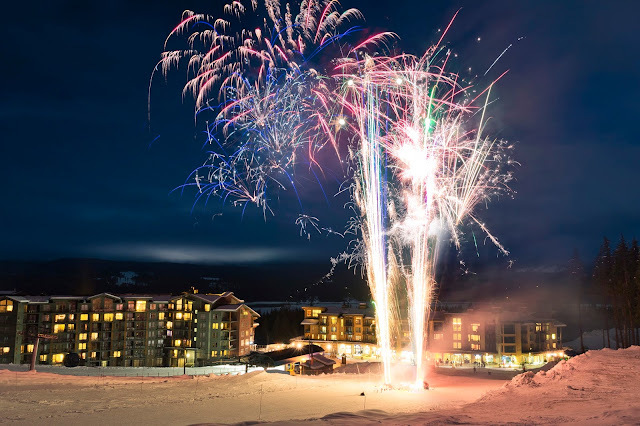 Partying at Purgatory on New Year's Eve is accompanied by fireworks, a torchlight parade and a New Year’s Eve special dinner-buffet with carving stations and decadent desserts. 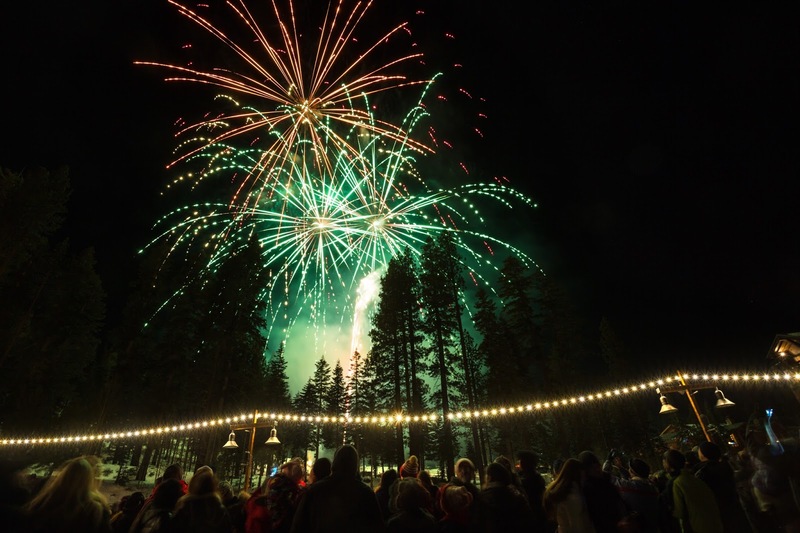 Heavenly Holidays culminates on Dec 31, with a live band and brightly-lit gondola that descends over the crowd, signaling the start of the New Year and a festive fireworks show. New Year's Eve kicks off with a Magic Show at the Last Chance Lodge at Solitude, followed by the light show provided by a synchronized team of Solitude staff bearing torches as they ski down the mountain in the dark. 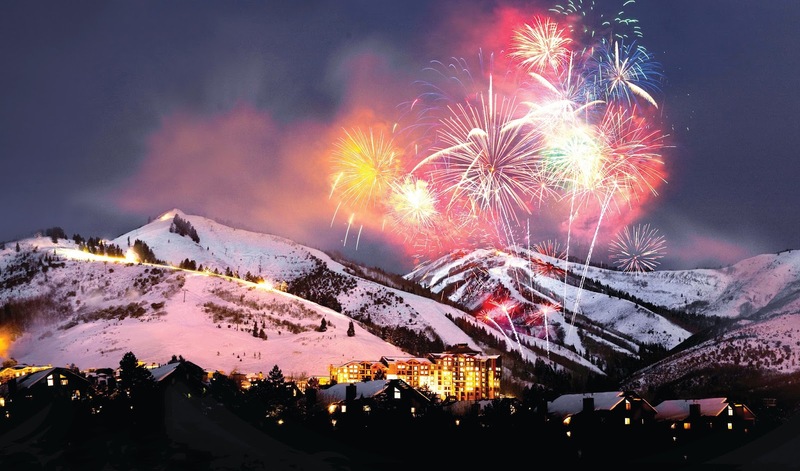 Park City Mountain is ringing in the New Year on Sunday with its annual New Year’s Eve celebration and fireworks show at the Canyons Village. Festivities begin at 2:30 with complimentary family après ski activities including a magician in the village. Popular Utah cover band Metro Music Club will take the stage at 5:30 with two hours of live music before the grand finale fireworks show at 7:30. All New Year’s Eve activities are complimentary and open to the public. Lots of options at Sun Valley on Dec. 31 including a Family Bowling night and a Family Night-skiing Party on Dollar Mountain which features face painting, New Year’s Eve party hat decorating, photo booth, and bouncy twister. There's an Ice Skating party with DJ and also Après Ski Live Music at the Warm Springs Day Lodge. Ring in 2018 with family fun and festivities and the NYE countdown and fireworks at 9:00 pm. 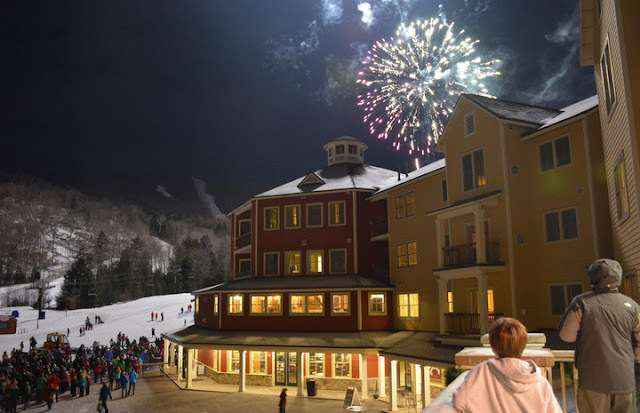 A spectacular pyrotechnics show starts at 7:30 pm in the Okemo Clock Tower base area following a torchlight parade of skiers and riders traversing Okemo’s Open Slope trail. Naturalist Joe Karl leads a snowshoe hike up the mountain to offer a birds’ eye view of the fireworks. Visitors can reserve a unique dining experience highlighting Stratton's winter beauty and culinary expertise. 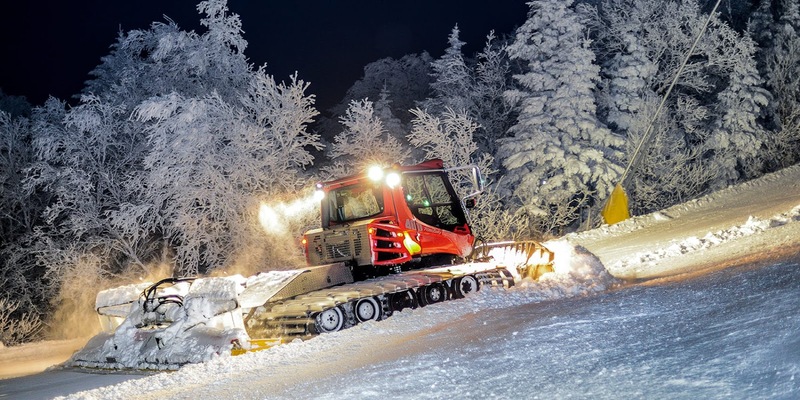 Price is $120 per person plus tax and gratuities and includes a snowcat ride to and from the Mid Mountain Lodge, seasonal beverage and snacks upon arrival, and a three-course meal. This event is 21+ only. All dinners are weather dependent, and require a minimum of 10 people prior to departure. This three-part event series is a great way for kids to get out and learn from Mount Snow’s coaches and ski school instructors. Training Center and Ski & Snowboard School coaches and instructors will help little jibbers in the Grommet park at Carinthia in the morning, followed by a break for lunch, and then a friendly afternoon park competition in the Grommet park. After the competition an awards ceremony will be held in the Carinthia Base Lodge. A lift ticket is required and not included in registration. Start your season off right! A primer clinic is a warm up for the great season to come. Refresh your techniques and build up your strength and endurance slowly throughout this fun and encouraging telemark weekend. Bromley's top PSIA/NATO trained telemark coaches will provide an individualized coaching environment that fosters a fun and challenging day of early season skiing and learning. Midnight arrives early for friends and family enjoying a variety of activities. Following early evening ice skating, snow tubing, mountain coaster rides, horse-drawn wagon rides, party-hat decorating, bingo games and a trivia tournament, families can ring in the New Year early with a DJ dance party - and still get the kids to bed in time for a full day on the slopes the next day. Party games, balloons, noisemakers and fireworks add to the New Year celebration, complete with a pizza party dinner in the Roundhouse at Jackson Gore. Tickets prices vary based on level of participation. Spend the evening with family and friends, celebrating the New Year with fun events and activities plus a spectacular fireworks display. 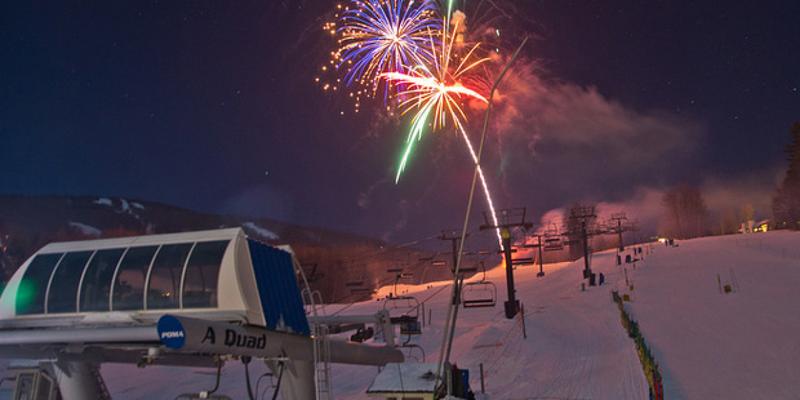 View the firework display from the Mid-Mountain Lodge as part of the 7-9 pm Snowshoe Hike. After the hike indulge in a campfire, hot cocoa and marshmallows for roasting. 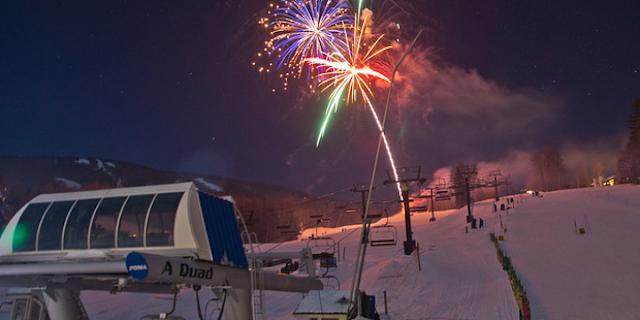 At 8:30 pm the Torchlight Parade, 21 jump salute and fireworks will begin in the Main Base Area. This family-friendly nightclub event features a live DJ in the Grand Summit Resort Hotel Ballroom, Saturday, December 31 from 10:30 pm - 1:00 am after the Family Dinner Party. The Grand New Year's Eve Celebration 2018 includes: party favors, a champagne toast at midnight (for ages 21+) hors d'oeuvres stations and a cash bar starting at 10:30 pm. 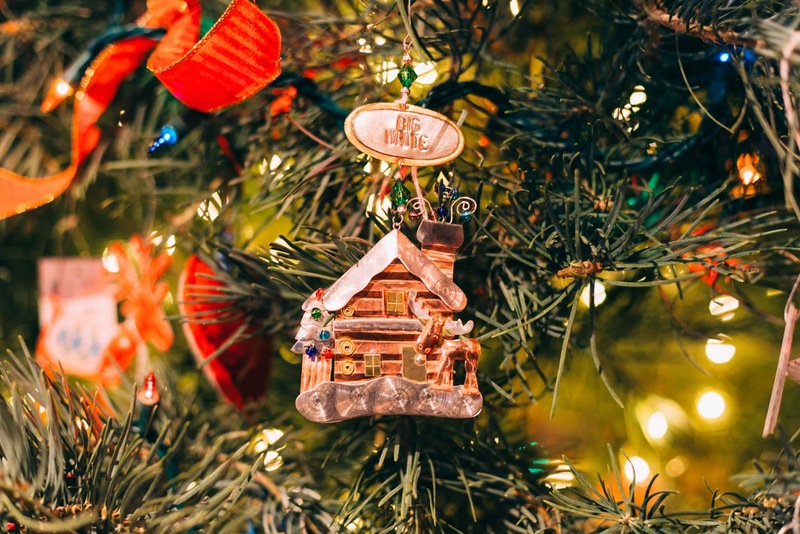 There's nothing better than the Christmas atmosphere at ski resorts, with soft snow and magical mountains providing the perfect Christmas card backdrop for glittering decorations, pine-wafting trees, cosy candlelight and lazy log fires. Wintersports are the best antidote to all that over-indulgence, too - a brisk walk on crunchy snow, bundled up in Goretex, merino and down, to clear the holiday head. Although it's bound to be busy at resorts over the holidays, it is still well worth a ski trip, especially if you add on days pre-Christmas when there's always a shopping and cooking lull before Boxing Day crowds start to show up. Christmas in Canmore - where I will be from Friday - is a magical month full of festivities, uniting locals, tourists, Calgarians and everyone from the surrounding mountain communities. Kicking off with the Festival of Trees, fundraising and gift donating activities, the month also includes Christmas wreath-making, a performance of The Nutcracker, seasonal activities at artsPlace, and the unique Spirit in the Mountain festival - a three-night program of charismatic concerts in a candlelit cave deep inside Grotto Mountain, 100 ft underground, courtesy of Canmore Cave Tours! It ran Dec 15-17 this year and, with amazing acoustics and unique atmosphere, each night had a different musical theme and genre. "It's a slightly crazy concept, but we are incredibly proud to host spectacular local talent in a hidden, beautiful venue within the heart of the Rockies," says Max Koether, on the company founders. "Over the course of three nights, a different local music group - Canmore folk rock band Elk Run & Riot, and Canmore choirs the Valley Winds Choir and In the Pink - illuminated Rat's Nest Cave with a very special acoustic performance, transforming the cave into one of the most spectacular concert venues imaginable." 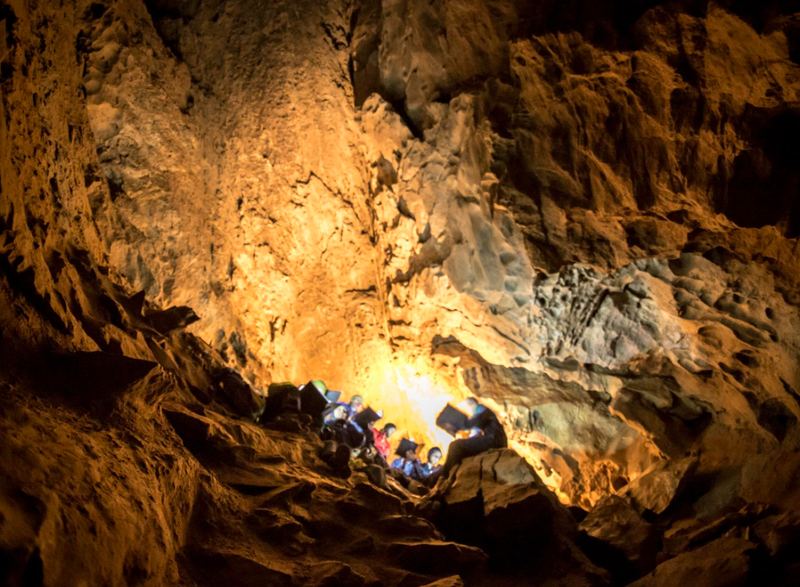 Held in the cave's Grand Gallery space, performers and guests alike have to climb, crawl, and squeeze their way to get there. Well worth it for the inimitable pre-historic ambience, scintillating music, and hot chocolate and cookies afterwards. 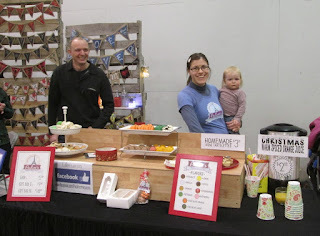 For those whose legs were tired from Friday's Sunshine Village skiing there was Canmore's Mountain Made Christmas Market at Elevation Place last Saturday. And, talking about skiing, if you're in the Banff area, remember Santa Shreds for Free at Mt Norquay on Christmas Day. To qualify for a free day ticket, wear a full costume of Santa, Mrs Claus, a reindeer or elf. I've done it before, it's a really fun day and, bonus, you get to pre-earn your Christmas feast. 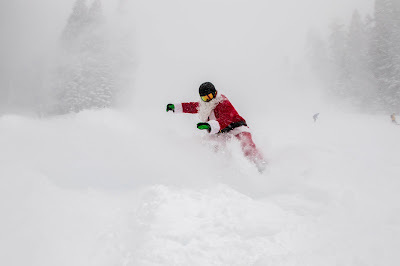 Santa visited Dec 17 with candy canes, photo opps and his own insider advice on best shredding at wonderful, wintry Whitewater. Lots to do in neighbouring Nelson, too, over the holidays including a Gingerbread House Exposition and contest to win a stay at the Prestige Lakeside Resort. There's also a Breakfast with Santa at the resort's West Coast Grill where around 400 attendees raise about $4000 for the Nelson Food Cupboard. The town of Revelstoke - where I am now - has been celebrating Christmas since Dec 2 with Miracle on MacKenzie: treelighting and a Santa breakfast visit. 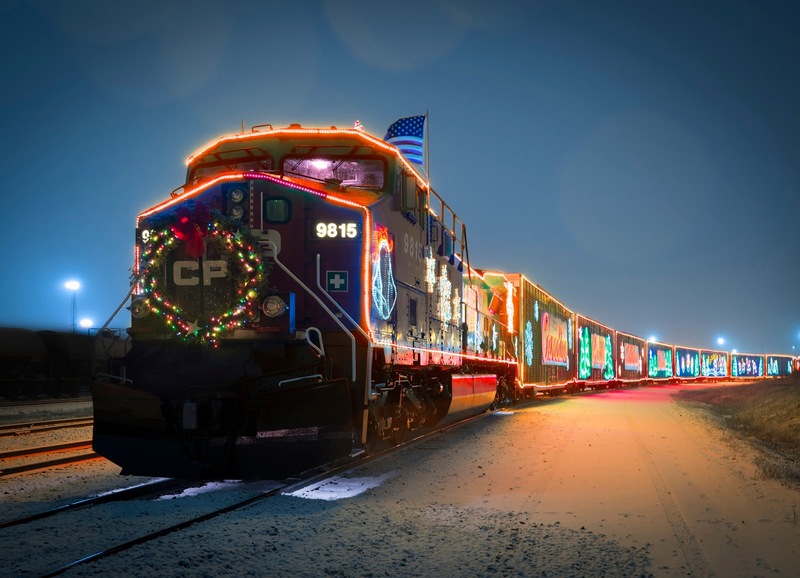 The CP Rail Holiday Train is a big annual draw, stopping at Revelstoke on Dec 14. This winter the free musical celebration denoted the end of a year of Canada's 150th Anniversary celebrations. The holiday train has been raising food and funds for food banks across North America since 1999, bringing holiday cheer to 171 communities along the CP line. "The Holiday Train program is all about local food banks and food shelves and the critical role they play in our communities," says Keith Creel, CP's President and Chief Executive Officer. "People come for the beautifully-lit train and stay for the incredible show – all in the name of community. The holiday season is the best time of the year, and we look forward to bringing together thousands of Canadians and Americans this season for this incredibly important cause and a great time." For the Canadian schedule go to: http://www.cpr.ca/holiday-train/canada and for the US itinerary: http://www.cpr.ca/holiday-train/united-states. Masses of family fun at the Revelstoke hill, too, including Christmas present hunt Dec 24, a crazy Boxing Day Box Derby Dec 26 and a cookie decorating night for kids, Rail Jam Dec 27, tubing and Gingerbread House building Dec 29, and cookie night Dec 30. Revelstoke Mountain Resort celebrates its 10th Anniversary Dec 22 with a mega party at the Mid Mountain Lodge, followed by ROC kids' activity day on the 23rd and skiing with Santa - if you can keep up! - on Dec 25. With live music, hot food and entertainment, Golden locals and visitors flocked to the annual Farmers' Market Christmas Market Dec 16 to buy Christmas gifts and delicacies from 55 varied vendors. "It has grown considerably over the past five years and continues to cap the Christmas fair season by being the final one before Christmas," says organizer Kay Nagao. "Most of the market is comprised of our regular market vendors but we also have a good number who join us only at Christmas, many of whom are from outside Golden. Essentially, being a winter event, it is more of an artisan market but we do have two or three of our farmers participating as well." At nearby Kicking Horse, there was skiing with Santa the same weekend. Christmas at Kicking Horse Mountain Resort officially starts Dec 22 with an array of night time activities including tubing, skiing, skating and firepits. There's a Christmas Eve Service and Feast at the summit restaurant at Eagle's Eye. And Dec 28 kids will love the gingerbread decorating, movies, arts and crafts sessions. On Dec 29 yoga and meditation with a mountain backdrop will get the adults grounded ready for the NYE festivities. Step into the snow globe at Big White this Christmas, staying in the village on the slopes, festooned with dazzling decorations and twinkling lights. Santa hangs out here for the whole month of December, honing his ski skills. Seasonal celebrations launched Dec 16 with Santa's workshop tours, photos, and breakfast culminating in a church service, Christmas Eve parade and skiing with Santa Dec 25. Noel Nights started Dec 8 at Northstar with the Village transformed into a winter wonderland featuring horse-drawn sleigh rides, outdoor ice skating, pictures with Santa and s’mores and hot cocoa by the fire pits, all to the hum of holiday music. On Dec 15, Northstar celebrated the season with the Shop Local Wine Walk to enjoy sipping and shopping around the holiday themed Village. On Dec 22, Northstar hosts a show-stopping performance by the Sacramento Skating Group on the 9,000 sq ft skating rink. Breakfast with Santa is coming up on Dec 24, including photo opps and the chance to hear Santa reading traditional holiday stories. I'll leave that to you!) "There are few things I enjoy more than skiing and boarding at Solitude Mountain Resort on Christmas Day, especially when the sky is blue and snow is deep," says Nick. "After a long night delivering presents around the world, a day at from Solitude is a gift to myself." Apparently he learnt to ski in the North Pole by having the reindeer drop him off at the top of a nearby hill so he could ski down. "I learned snowboarding the same way. 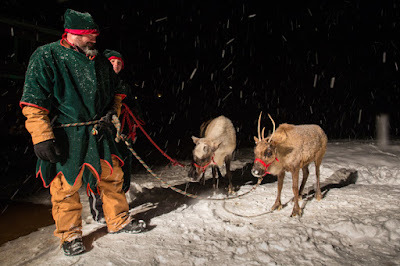 From time to time, I'll attach a rope to the reindeer and ski or snowboard behind them. Once they learned to stay close to the ground, it became a lot of fun!" The best part of his job at from Solitude is actually meeting the children he brings gifts to on Christmas Eve in Solitude Village and on Christmas Day on the slopes. "It is a lot of fun talking with the families and seeing all of the holiday cheer," says Nick. "It reminds me that all this work I do is completely worth it!" His funniest recollection over the years was when he was skiing in the midst of a major storm with very low visibility. "A little boy came up to me and asked why Rudolph wasn't skiing with me, guiding me through the untracked snow," he remembers. "I thought it was a great idea to sneak Rudolph onto the ski hill each time it is snowing heavy." Santa Claus visits Stoneham Mountain Resort on Dec 23, with a window for photos from 11:30am to 2:30pm before he races back off to the North Pole (or possibly another ski hill!) to prepare for his long night of present distribution. Between Christmas Eve and January 8, there will be inflatable games and animation every day, with music, camp fires, and hot chocolate. "We don’t forget the adults with live bands at the Quatre-Foyers bar," says Geneviève Clavet, Communications Manager. Santa relocates his workshop at Mont-Sainte-Anne from Dec 23 - Jan 6. The family-friendly holiday fun is launched with a giant sugarcane display at the mountain base on Dec 23. There's singing with Les Petits Chanteurs de Beauport, a youth choir, on Dec 26. Dec 31 the resort celebrates the approach of 2018, followed by the Snow and Mimosas celebration Jan 1. From December 18-31, 2017, Heavenly Holidays transforms Heavenly Village into a holiday winter wonderland with lights, decorations, music, ice sculpting and more. 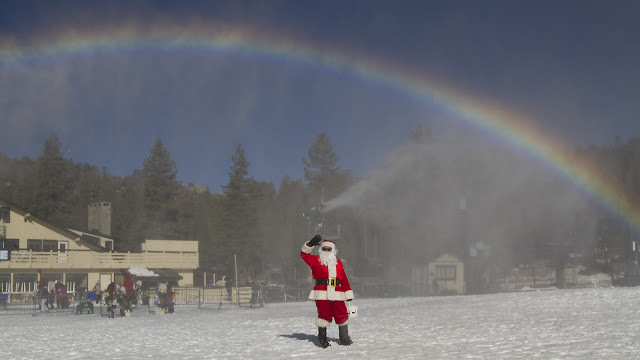 Heavenly's unique two-week holiday festival runs Dec 18-31. Over Xmas, there's a 16-ft interactive snow globe where kids can get photos with Santa. Right in the midst of Sun Valley's Winter Wonderland holiday schedule is its 81st birthday - today (Dec 21)! 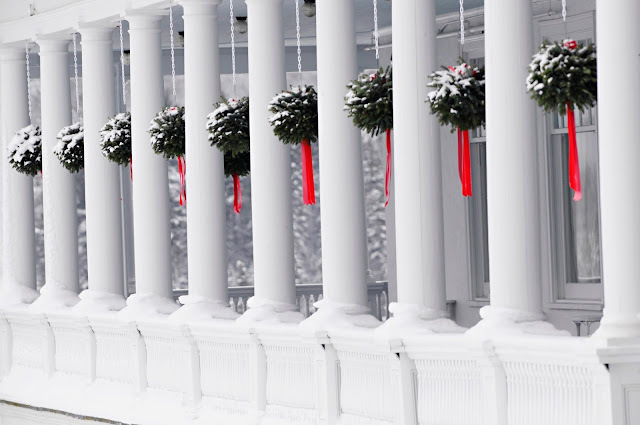 Celebrate with High Tea and Champers or go to the Annual Classic Christmas Concert at the Sun Valley Opera House. 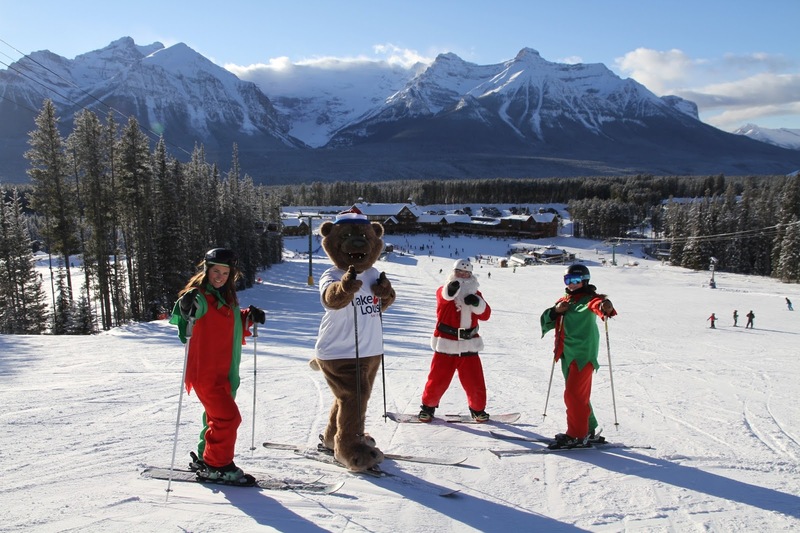 Winter Wonderland started Dec 8 with the Magic in the Mountains Scavenger Hunt which goes on until Dec 31. Other festive activities so far included themed parties, gingerbread and cookie decorating, face-painting, photos with Santa, live music, seasonal food, storytelling, local artist demos, tree lighting, holiday market, and free gift wrapping. Christmas Eve & Christmas Day: Skating in a Winter Wonderland Ice Show, Dollar Torchlight Parade & Fireworks. The ice show will highlight modern renditions of classic holiday music and solo skating performances by Erin Reed and other professional skaters. Dec 27 Clicquot in the Snow Party at the River Run Lodge. Wintery celebration of Clicquot, live music, photo booth fun and #clicquotinthesnow treats! 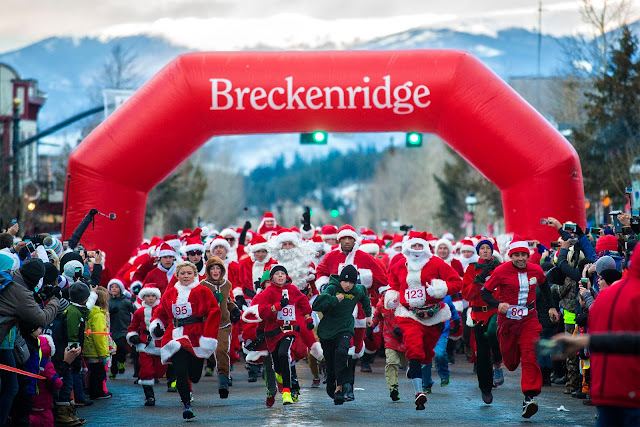 Earlier this month was Breck's mega Race of the Santas, annually attracting over 500 Santa and Mrs Claus look-alikes, anxious to compete in the seasonal sprint. The Race, which follows a Holiday Dog Parade, raises money for Boy Scouts Troop 187. 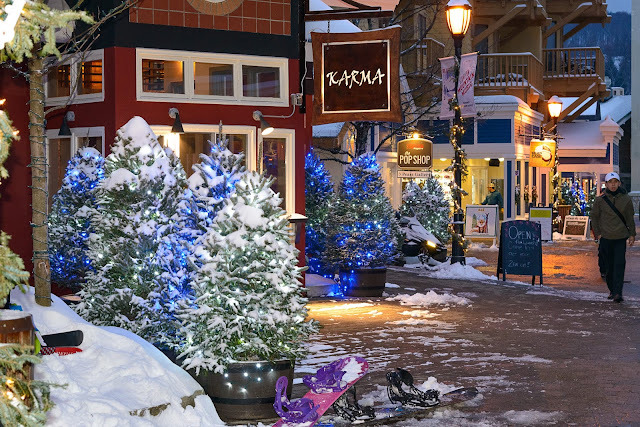 Afterwards there's an Unsilent Night procession with holiday music followed by the Lighting of Breckenridge which turns the picturesque town into a sparkling wonderland courtesy of 140,000 LEDs. 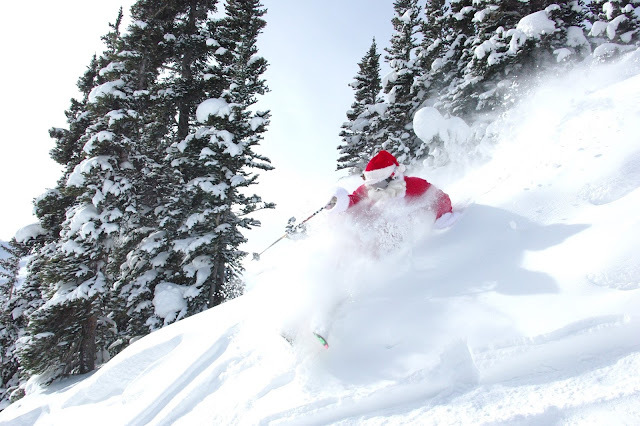 With so many Santas in town in December, it's highly likely that you'll spot at least one on the slopes over the holidays. 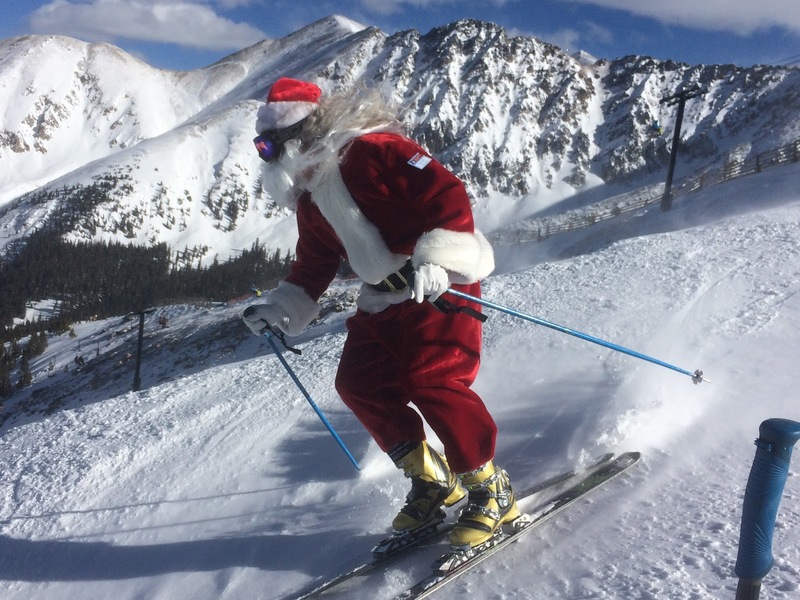 Santa skis Arapahoe Basin this year on Christmas Eve, arriving at Mountain Goat Plaza at 11 am with his trusty elf. Handing out candy to kids in the A-Frame Lodge and Plaza, he then tours the base area on his telemark skis, heralded by the Summit County Choral Society, before heading up the Black Mountain Express to visit skiers at the summit. I actually got an interview with this Telemarking Santa! "Skiing at A Basin is one of my very great joys and it is the easiest of all ski areas to get to," he told me with huge enthusiasm. "You see when we were pioneering early present delivery systems, we tried an underground network and our first attempt came out at A Basin's North Pole area. Hence the name North Pole." 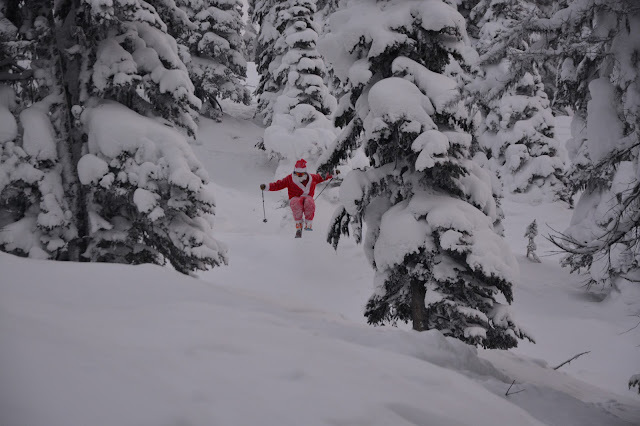 This Santa - aka Tim Stroh - loves to telemark and says it's the way all presents were originally delivered. "You see, we needed some innovations so we could deliver to more and more boys and girls each year. We tried the underground delivery system, but then Rudolph ate something strange one day in the paddock and was able to leap higher than ever before. With careful study from our North Pole nutritionist, we were able to get the reindeer on highly magical vitamin mixture that gave them the ability to fly! I actually lost one of telemark skis on the inaugural flight that year. It just popped out of a glacier a few years ago," he says. See the article here:http://www.ancient-origins.net/news-history-archaeology/archaeologists-uncover-1300-year-old-ski-norway-002233. He says than bending the knee on telemarks is no trouble despite his girth and he recommends eating as the best defense from the cold. "I do ski quite a bit of skiing at the North Pole in the run up to Christmas. There is a lot of moving between work shops and staging areas where the presents are wrapped and sorted. Skis are the most important logistic tool we have at the North Pole, that and a clipboard," Santa explains. "I love to meet the children before the holidays, so I book as many appearances as I can, malls, bookstores, ski areas etc. This helps me keep in touch with the people. Once Christmas begins, we check the joy and world peace meter at the North Pole and of course Santa's big telescope." 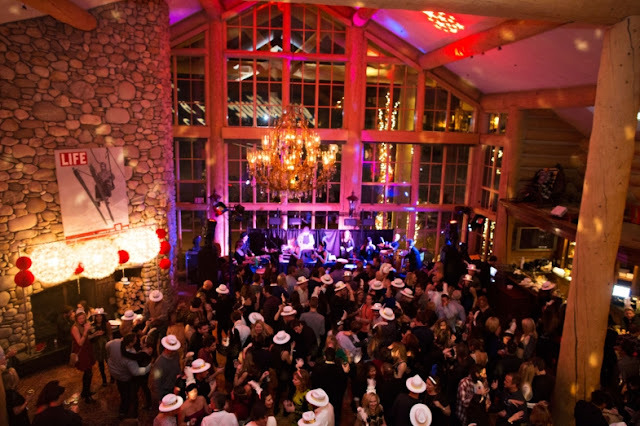 Park City Mountain is making the Holidays even more special for guests by hosting unforgettable signature events this Christmas, New Year’s and Spring Break. The Holiday Season kicked off on Dec. 16, with Park City Mountain’s annual Snowfest Celebration, a 16-day festival including morning and après musical acts, village entertainers, the annual torchlight parade, fireworks and a special visit from Santa on the Town Lift. On Dec 10, a festive, family-friendly treelighting event was held in the courtyard at The Little Nell with complimentary cookies and hot cocoa, carolers and photo ops with Santa Claus. The Aspen Animal Shelter was onsite with “reindeer” pups. Guests donated new and gently worn winter clothing for the Aspen Homeless Shelter. From Dec 21-24, The North Pole will come to the Snowmass Mall and Base Village, where Santa himself will be available to hear last-minute requests from girls and boys. Complimentary photos with Santa will be offered from 2 - 4 pm daily. Carolers will stroll through the Snowmass Mall and Base Village Dec 23-24. On Sunday, Dec 24, Christmas Eve at Copper will bring a visit from Santa himself, as well as a children’s glowstick pageant and a torchlight parade. 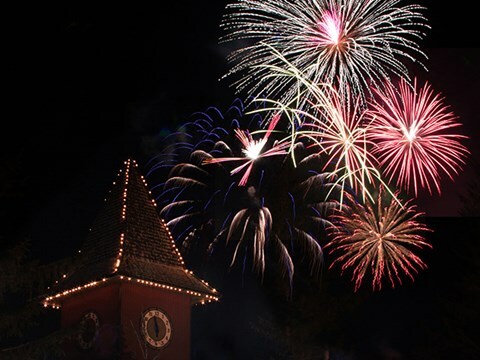 Guests will be able to close out the night with a Christmas Eve fireworks display. 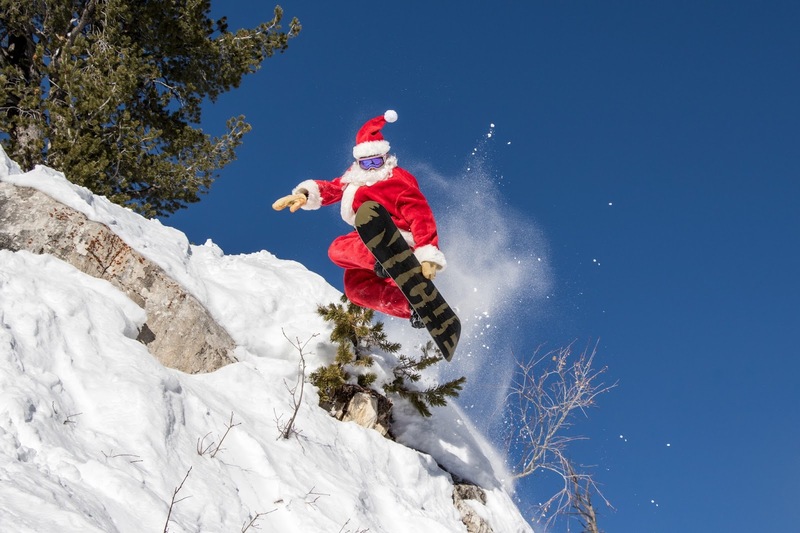 On Dec 9, Crested Butte Mountain Resort sponsored the 5th annual "Santa Ski and Crawl" in hopes of breaking the World Record for the largest number of skiers in full Santa costumes. 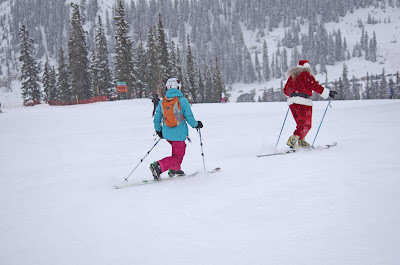 Participants had to be decked out in full Santa regalia to participate in the group Santa Ski. This Sunday, Crested Butte will begin the holiday festivities as Santa comes down the mountain in a sleigh pulled by a snowcat to hand out candy canes to children. Guests will be able to stay to watch the Crested Butte Ski and Ride School perform their famous torchlight parade down the front side of the mountain at 5:30 p.m. Photos with Santa will be available immediately following the torchlight parade inside the Spellbound Pizza area next to Butte 66. On Sunday, Eldora will host guests in their ugliest holiday sweaters as they host a festive holiday celebration. 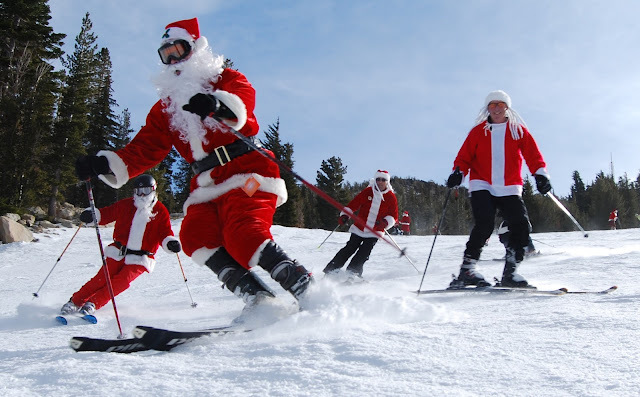 There will be lots of holiday cheer as Santa leads a group of skiers and riders down the mountain to the deck for hot chocolate, candy canes and fun festivities for the whole family to enjoy. Guests will be able to participate in both the ugly sweater contest and a holiday dance contest. From December 22-24, skiers and riders will be able to celebrate the holiday season with music, holiday treats, Santa, Christmas cookies, card decorating and more. Every Christmas Santa takes time out of his busy schedule to ski at Loveland Ski Area. 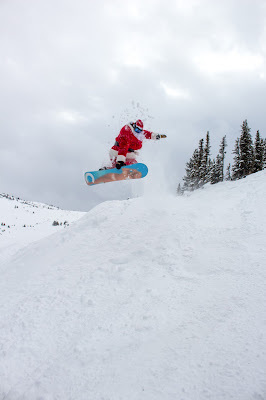 This year is no different as Santa will make his appearance at Loveland on Dec 23, 24, and 25. 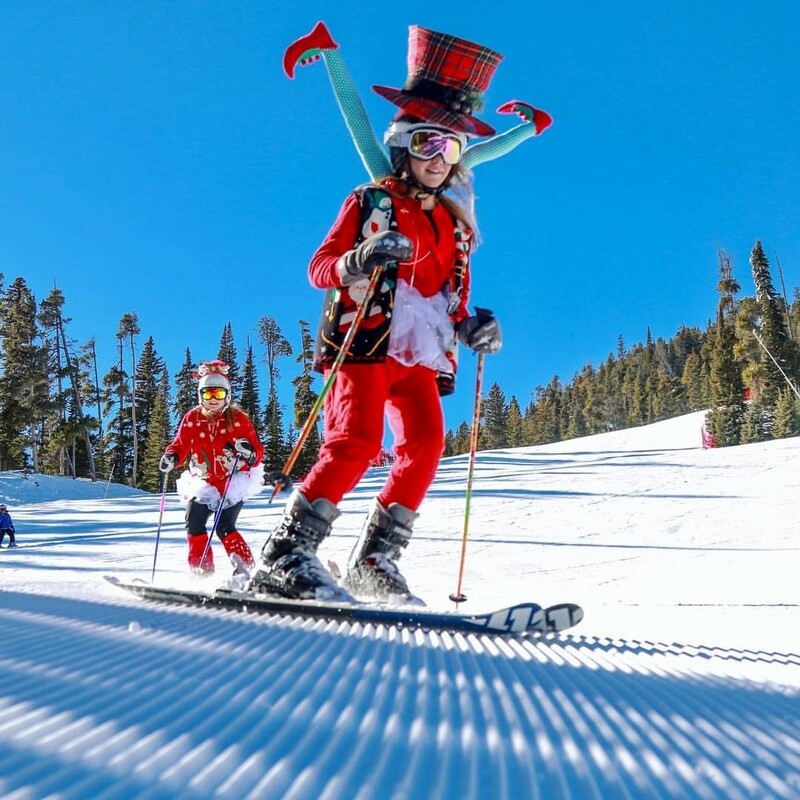 Not only will he be cruising the slopes, but he’ll also visit the Ski & Ride School and Children’s Center to hand out candy to young ones and pose for photos. The ubiquitous Santa will be skiing Monarch Mountain on Christmas Eve. Guests who stick around Monarch for the whole holiday will also be treated to the New Year’s Eve fireworks and torchlight parade. 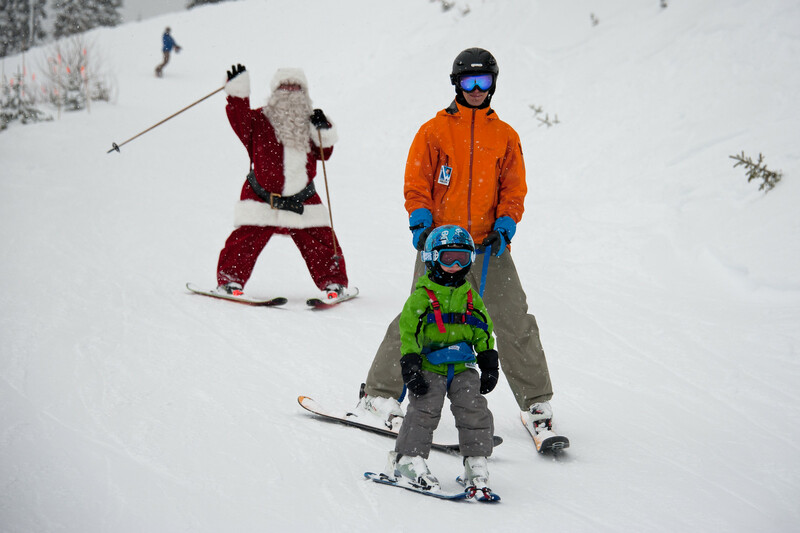 Purgatory Resort offers a variety of holiday activities to celebrate this season. On Saturday, Dec 23, guests will be able to attend a free wreath-making class and spend time with Santa and Mrs. Claus, who will visit via horse-drawn sleigh ride, delivering candy canes and taking last minute gift requests. On Dec 24, skiers and riders will be able to spend time off the slopes with a Build Your Own Gingerbread House event and a free Holiday S’mores Party on the Beach, while the Slopeside Restaurant will host a Christmas Eve dinner complete with a buffet-style holiday feast, a hot cocoa bar, Christmas Cookie station, and dessert buffet. From Dec 26-29, Purgatory will be home to Snow Sculptures in the Plaza with world-renowned artist Keith Martin. More about Purgatory in Feb as I'm going there for the first time in late Jan! On Dec 17 Steamboat welcomed guests to Gondola Square to celebrate the holiday season Steamboat style. 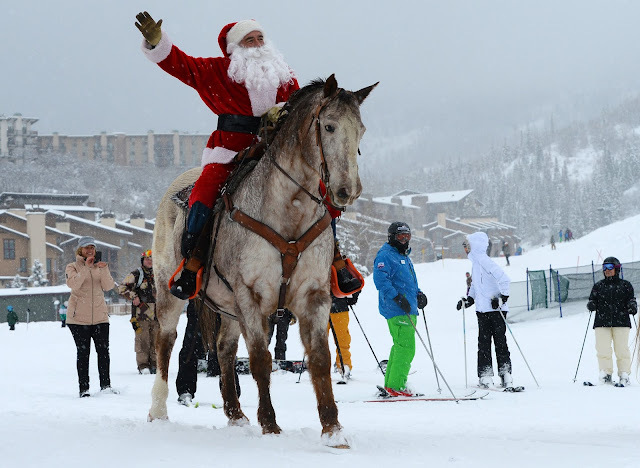 Santa rode down the slopes on horseback to meet guests at his workshop along with some of his favorite reindeer friends. There was a stocking scramble and free holiday treats at surrounding stores and restaurants. Additional festivities included cookie decorating and a special holiday concert featuring the Face Vocal Band. 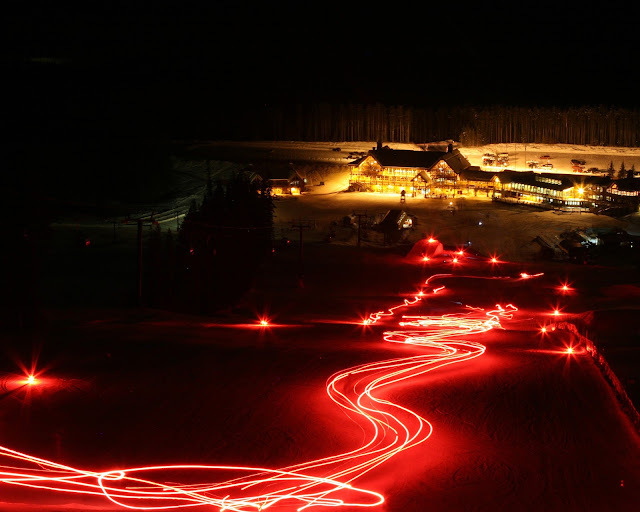 The party continued after dark with a torchlight parade and fireworks followed by gnarly nocturnal night skiing. From Dec 16-17, there were free rides on all the best 2017 skis and snowboards during Sunlight's annual Free Demo Days. 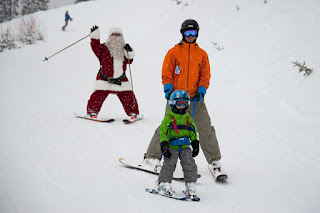 Kids could enjoy free photos with Santa on Sunlight's West Deck and then enjoy a few runs with the man in red. From Dec 16, Telluride’s Mountain Village was transformed once again into the North Pole for this year’s Holiday Prelude celebration. Guests enjoyed a whole day of holiday movies, train rides, Santa and his workshop, live reindeer, ice skating and children’s holiday surprises around every corner. On Sunday, Dec 24, visitors will be able to watch as Telluride Ski Resort employees meander down the mountain with torches to light up the landscape. Winter Park’s Christmas Eve celebrations will begin on Sunday, December 24 at 1 p.m. with a visit from Santa in the gazebo, followed by Christmas carolers at 3:15 p.m. At 5:30 p.m., a procession of torch-bearing skiers and riders will begin their way down Lower Hughes trail, followed by Santa Claus and his merry helpers. A spectacular fireworks display and snowcats adorned with Christmas colors will light up the slopes in a Christmas tree formation to conclude the festivities. Immediately following the show at 6 p.m., visitors are welcome to attend a Christmas Eve non-denominational service located in West Portal. Afterwards, guests can enjoy a holiday buffet at Sunspot Lodge. From Dec 24-25, Santa will make pit stops at Wolf Creek while out and about delivering presents. Santa will explore Wolf Creek greeting guests, spreading holiday cheer and handing out candy canes. The Wolf Creek Lodge will serve a Christmas dinner of Cornish game hen and the traditional sides for skiers and boarders celebrating the holiday. Santa Ski Day took place at Mt. 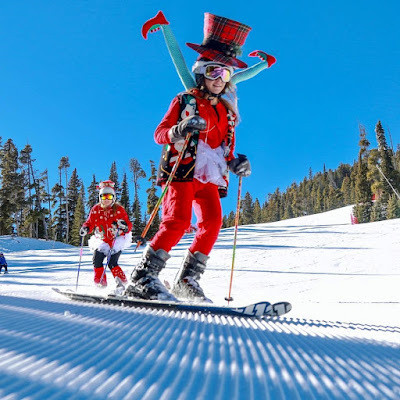 Rose Ski Tahoe on Dec 9 this year attracting skiers and riders outfitted in Kris Kringle red and white and everything related to the holidays—elves, candy canes, shiny presents, Mrs. Claus and more - anything to get a discounted lift ticket! 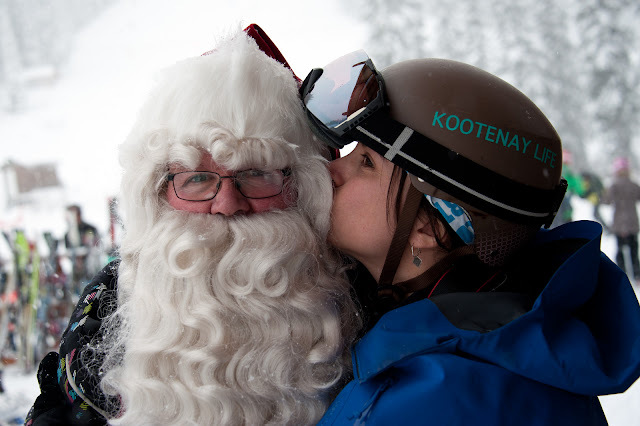 “Santa Ski Day has been a signature event at Mt. Rose for years, and is something our guests look forward to every season,” said Mike Pierce, marketing director at Mt. Rose Ski Tahoe. “It’s a fun kick-off to the Great Reno Santa Pub Crawl that night, and we think that pairing it with snow covered slopes is the perfect way to ring in the holiday season!” It started with a mass Santa Ski Down, followed by a “poker run” (a card-themed scavenger hunt), an egg nog station on the mountain, and a ski and snowboard raffle. Holiday week at Burke is filled with visits from Santa, Burkie the Bear, holiday sledding, pizza parties, skiing and snowboarding, and much more. Fun is sure to be had as kids and parents alike will be kept busy during holiday week. Santa Claus and Mrs. Claus make their Jackson Gore grand entrance at 4 pm for a pre-Christmas visit with children before the jolly old elf makes his way to the North Pole for final holiday preparations. The master Stratton culinary team will entertain your taste buds with a delectable four-course meal complemented by local beers from Zero Gravity Brewing in Burlington, VT. Only 50 tickets available, seating is at 6 pm and this is a 21+ event only. Price: $50 per person plus tax. 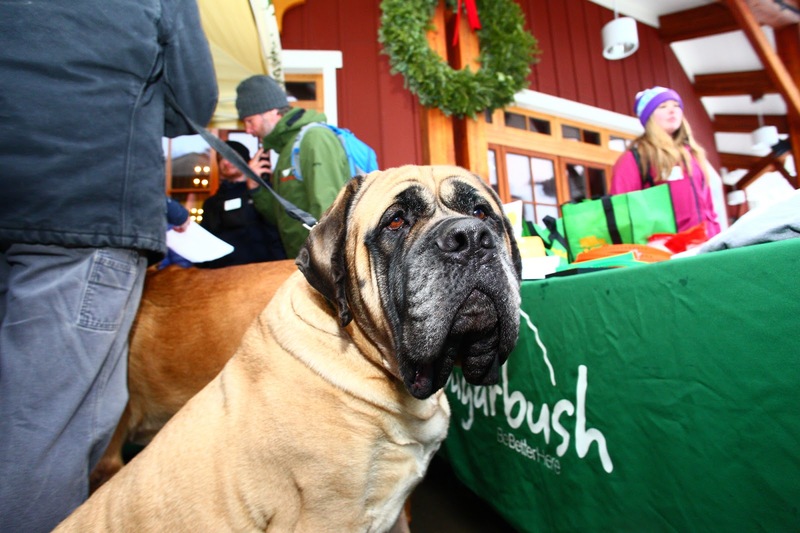 Head to Sugarbush to find your source of holiday cheer this season. From Christmas Eve to New Year's Day, there will be plenty of festivities to keep the whole family spirited during Holiday Week. 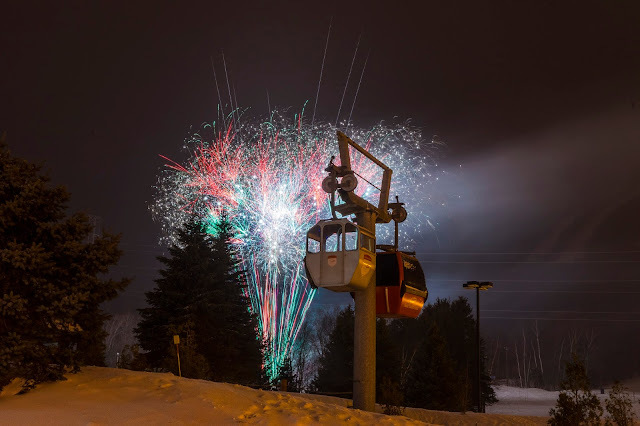 Sugarbush will hold their traditional activities such as Kid's Pizza & Movie Night, S'more Cookouts, Torchlight Parade & Fireworks, Annual Dog Parade, live music and more. A White Christmas is expected at New Hampshire resorts this year. Massive snowstorms in the run up to Christmas gave a foot of snow in some parts of the state and cold temps were expected to preserve it for the holidays. 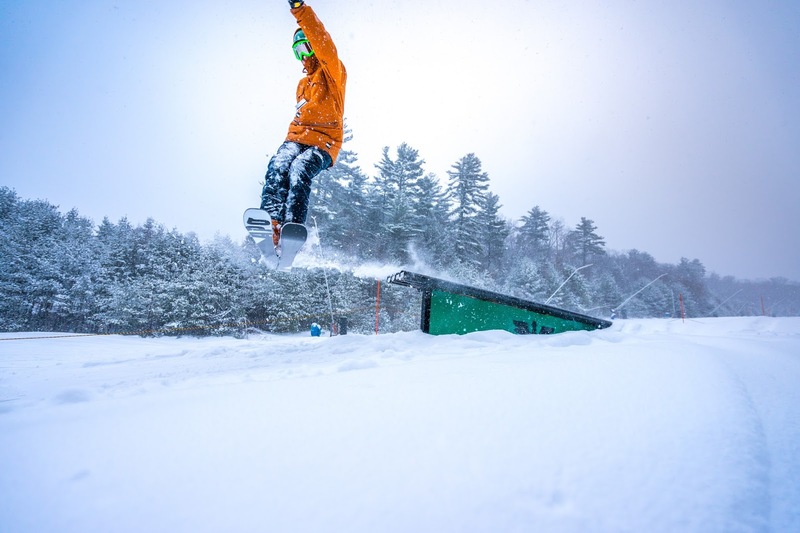 "New Hampshire's ski areas will have much more than skiing on the schedule for Christmas through the New Year," says Karolyn Castaldo. "Guests can enjoy a variety of other outdoor activities, such as snowshoeing, tubing, and fat biking, plus specially-planned activities to celebrate the holidays." Karolyn is Communications and Marketing Manager for SkiNH which includes 34 alpine and cross-country ski area members. For more information on ski areas, trail conditions, vacation planning, and updated winter events at Ski New Hampshire resorts, visit SkiNH.com. For statewide travel info, visit visitNH.gov.